Northwest Bifolds specialise in architectural aluminium windows and doors. The purchase of any home improvement product is a substantial financial investment, and our customers want value for money with quality. And we aim to meet our customer’s needs. Aluminium Windows and Doors for Homeowners in the Northwest. We know you have a huge amount of choice where to buy replacement windows and doors. There are local companies that will provide buy-one-get-one-free offers, incentives to buy quickly, finance deals and other promotions frequently designed for a quick sale. 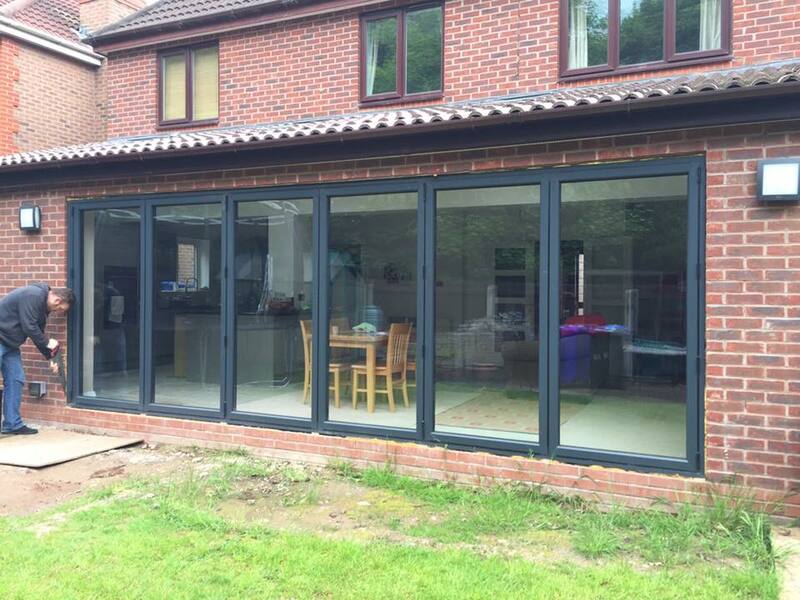 Northwest bifolds is a local company headed by Steve Sharples, who has over 30 years experience in the glass, glazing and construction sector. We believe we are different from other businesses. Northwest bifolds provide industry leading aluminium bifolding doors, sliding doors and windows. The range of aluminium windows and doors on offer to our customers has taken six years to create and fine tune. To give you the best bifolding doors, sliding doors, windows and entrance doors, we have researched, tested and installed the major products in the UK market. We know our aluminium range is the best for you and your home. While there is no ‘bad’ door or window on the market, our range is different because it offers you a complete solution, the best quality of product and is affordable. Aluminium windows and doors from the best UK Suppliers. We have carefully chosen our aluminium suppliers from some of the best, award-winning and most reliable manufacturers in the UK today. For you, this means peace of mind. Every one of our suppliers meets our strict requirements. We choose our suppliers for their quality of manufacturing, their understanding of the consumer market and aluminium expertise. They also provide the best brands of aluminium windows and doors with the longest guarantees. You also benefit from the most reliable locking systems, hardware choice and colour availability. Best of all, our suppliers also understand our business, our local reputation and our customers. You benefit from a competitively priced, expertly made product installed by home improvement professionals. Aluminium windows and doors you can trust. Origin is the undisputed leader in aluminium bifolding doors and aluminium flush casement windows. An Origin product comes with a 20-year warranty and the kind of customer care that is second to none. The home improvement industry regards Origin product as one of the best you can buy. Reynaers has over 50 years experience in Europe and the UK designing cutting-edge aluminium doors and windows. We offer you the Reynaers sliding door that we think is one of the best on the market. The Schuco name is known in all over the world for its engineering, design and premium specification. Schuco manufacture sophisticated aluminium products including bomb blast systems and glazing for skyscrapers. This technical know-how is also filtered down to their residential windows and doors. A Schuco bifold or sliding door gives superior German engineering in your home. AluK is a British company that provides some of the best-selling aluminium windows and doors. We offer AluK windows that provide the best all-around solution for your home. If you are looking for traditional or contemporary windows and even steel replacement windows, AluK is the market leader. An Atlas lantern roof, skylight or conservatory roof is the most modern and technically advanced in the UK. Atlas roofs are slimmer, stronger and more thermally efficient than other roofs on the market. We can even offer the latest in ‘walk-on’ glass. Enhance your doors with the finest integral blinds. Swiftglide Integral Blinds. As large bifolding doors and windows get more popular, so does the need to provide privacy and shade. Our range of Swiftglide integral blinds is ideal for all our windows, bifolds and sliding doors housed between the panes of glass. Aluminium experts for Liverpool and the Northwest. Benefit from our experience as a smaller, local business. When you contact Northwest Bifolds, you deal with the owner of the Company and our expert team. Contact us for a free no-obligation quotation and the benefit of our 30 years experience in improving homes in Liverpool and the Northwest.